Secondary Camera: 20 MPix Dual 20 MP + 8 MP, f/2.0, 1/2.8" IMX376 front camera sensor, co-engineered with Sony. I hate selfies. I think the very idea of it is vain, and I think it's the number one culprit of our social media-driven world becoming increasingly narcissistic: everything is "hey look at me!" It's easy to see the vivo V5 Plus as an iPhone-copying one-trick pony, an expensive one at that. The thing is, it's pretty great at that one trick, and reasonably good at them other tricks. There's no escaping the copycat boos, and there are much better deals to be had, but it wont be a stretch for vanity to defeat common sense here. All-in-all the Vivo V5 Plus is a great all-round package that will appeal to those who are serious about their selfies. It packs in the right balance of power, performance, battery life and adds a pretty good camera to the mix, making it a much better offering in comparison to the Asus Zenfone 3 (5.5-inch). It still however, falls short of the OnePlus 3T in some areas like raw power and the primary camera. The Huawei Honor 8 is also pretty good choice, if you are looking for a dual camera set up on the back, but it’s not so impressive in the selfie department. Another competitor in this segment is the Oppo F1 Plus. When it launched in April last year, it was indeed the king of selfie smartphones. But with so many new competitors offering better hardware (including sibling Vivo), the phone has now gotten a bit dated with its MediaTek Helio P10. I’ll be honest. I came into reviewing this phone with 0 expectations. All my past experience with “selfie” focused smartphones have been pretty underwhelming. The Vivo V5 Plus on the other hand is actually quite a nice experience overall. Sure, it is not a OnePlus 3 or 3T which can also be bought at a very similar price point and I would recommend those two phones over this any day to anyone except for those who love to take selfies. 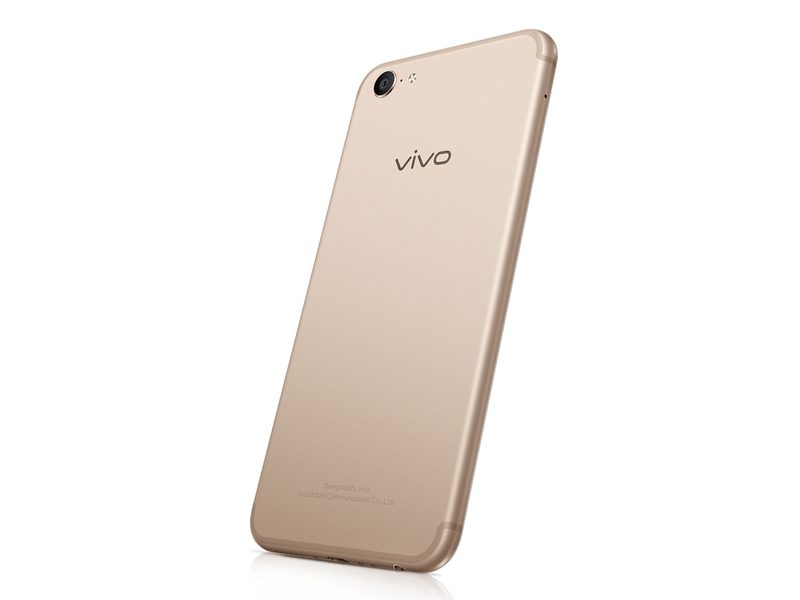 Despite the entire marketing focused on the ‘perfect selfie’, the Vivo V5 Plus is a well-rounded smartphone with a beautiful metallic chassis, gorgeous display, and smooth performance. With it’s 20 MP dual front cameras,Vivo V5 Plus takes selfies like never before. If you plan to take your best selfies and share it on social media, we would suggest you keep Vivo V5 Plus as a priority. However, if it doesn’t fit your budget you might want check the cheaper variant selfie phone Vivo V5. Chinese smartphone makers have set a precedent for delivering products with solid specifications at highly affordable prices, which is exactly what Vivo has been doing for a while now. The V5 Plus is a bold move from the company because it dares to break this tradition. However, we don’t think this phone really warrants its premium price tag, especially when the competition can deliver a similar package for a lot less money. 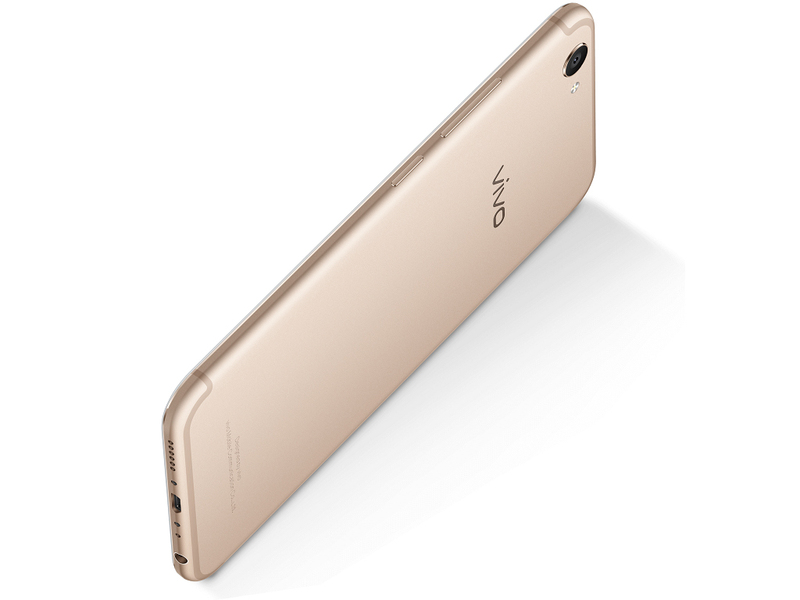 Last year Vivo announced its selfie phone Vivo V5 in India with 20 MP front camera. Now the company has launched its Plus variant with a mindblowing dual 20 MP camera on the front with Moonlight LED flash. It seems like Vivo has mastered the selfie-centric division but comes at a price of ₹27,980. Have a look at the selfie phone Vivo V5 Plus hands-on and first impressions. The Vivo V5 Plus no doubt is a very good handset with best selfie camera out there. Coming to the price it is pricey at Rs. 27,980. The Redmi Note 4 with the same processor i.e. Snapdragon 625 is available from Rs. 9,999 and if you are really looking to spend Rs. 30,000 the OnePlus 3T is the best option. The Vivo V5 Plus has the stylish design and backed by decent hardware which can handle the various task. If you are a selfie lover then this phone can be your choice. But as per the hardware core configuration, the phone didn't impress us much. Also, the phone lacks the USB C type port. So the Vivo V5 Plus, hands down, is a brilliant selfie camera phone. It brings in that elusive BOKEH effects via a dedicated lens while the main front facing lens is co-engineered with Sony and that shows off in the output. If we were to nitpick, it would be the over softening of the images shot in the dark with that moonlight LED option but it’s a really tough condition for any camera to shoot. The primary camera is bit of a letdown when compared to the supremely fantastic front camera. If only Vivo had included OIS or EIS, low light performance and videos would’ve been much better but in most of the other conditions and in keeping the software free of gimmicks, Vivo wins kudos in our books. We thoroughly enjoyed our time with the V5 Plus and hope you did too as you eyeballing the samples we have taken for you. The battle for the best selfie-centric smartphone is just heating up and the Vivo V5 Plus is a testament to that. It’s not a one-trick pony, though as it has other worthy features like the capable yet battery-efficient processor, large 4GB RAM, plenty of storage at 64GB, good rear camera, and above average battery life. Overall we are pretty satisfied with the performance of the phone. However, Vivo could have gone for a distinctive design rather than been completely inspired by iPhone. If we talk about pricing, it's on a higher side, as you can get a smartphone from other brands with more or less same specifications at a much lower price. Just to charge insanely for adding up an extra camera in front is not justified. However, those of who are looking to add charm in their life by flaunting good quality selfies, we would recommend that they can go and buy Vivo V5 Plus smartphone bearing Dual front camera without having a second thought. I would say the Vivo V5 Plus phone is good for who are sick of the iPhone’s boring hardware (looking at the battery), and the blandness of Android devices. Vivo V5 Plus walks a thin line between both, but the problem is that it is little pricey at Rs 27,980. Again considering the Snapdragon 625, processor, people might consider sticking with OnePlus 3 or the Oneplus 3T, as an option, given they are both great devices. But for those want to try something new with their selfies, the Vivo V5 Plus is an option. 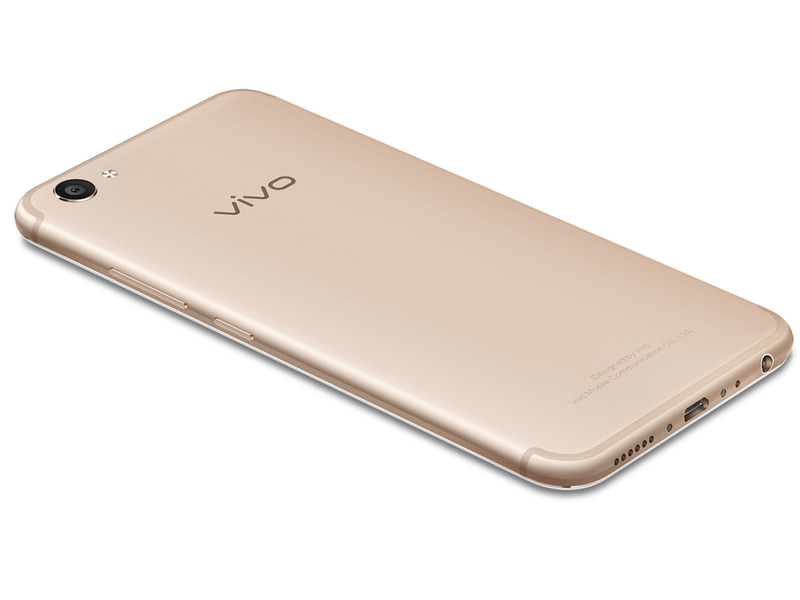 The Vivo V5 Plus will only be available in gold in India. In its price category, it will be competing against the likes of the OnePlus 3T and Moto Z Play. 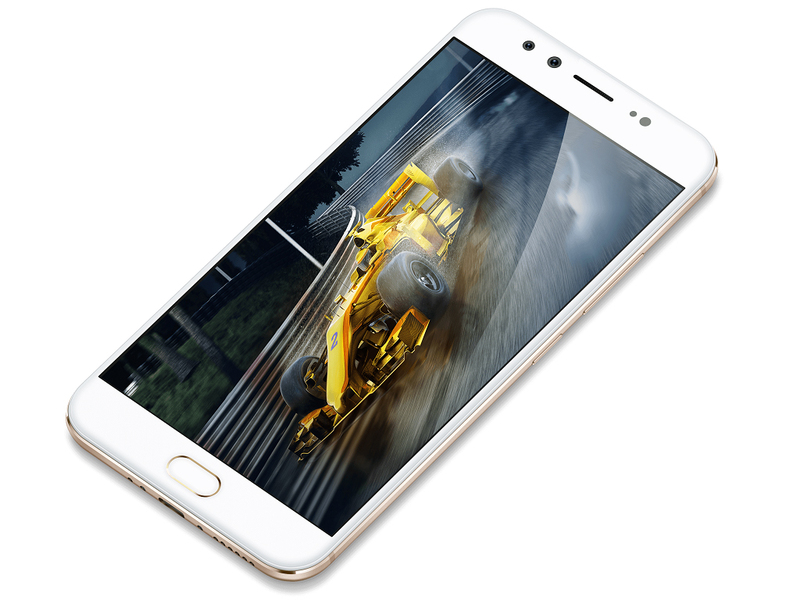 Considering that the Vivo V5 Plus has a relatively less capable processor than the OnePlus 3T and lacks the unique mods that the Moto Z Play can use, it is currently hard to say whether this smartphone's unique front camera setup will be able to tempt customers. For further updates and our full Vivo V5 Plus review, stay tuned to Gadgets 360. The Vivo V5 Plus is a good selfie centric phone and that’s pretty much it. Everything else about the phone is secondary and rather overshadowed by the OnePlus 3T. Vivo V5 Plus can be termed as a really good smartphone at what it promises to be. Selfie lovers are sure to love the device. The smartphone's front cameras are excellent and we loved the pictures that we clicked with them. Other than this, the phone has a sturdy built, offers smooth performance and packs a lasting battery. 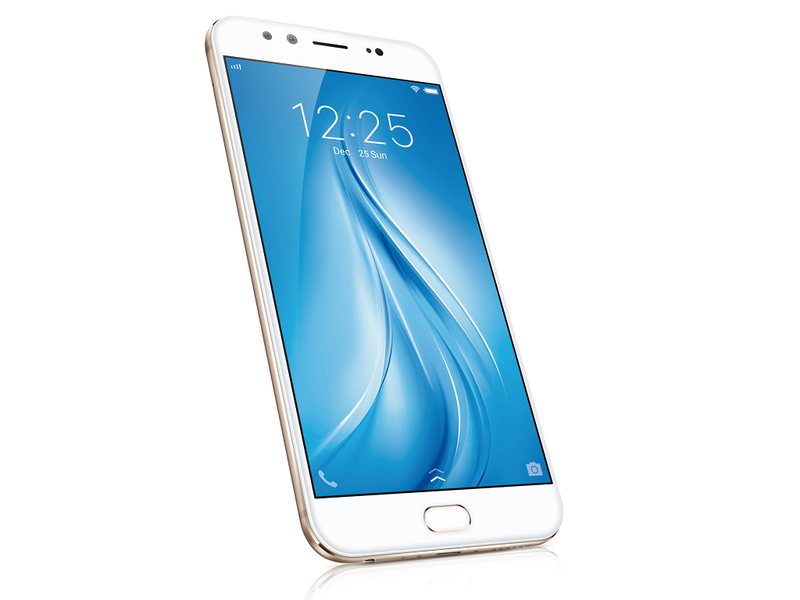 The Vivo V5 Plus comes with a price tag at RM1799 in Malaysia. It may be somewhat more expensive than their previous smartphone, but the performance is better with a Snapdragon 625 processor. The selfie camera is simply unbeatable for now on the market. We have yet to see any smartphone front facing camera that could achieve this level of quality. However, in contrast, the rear camera isn't nearly as good as the front camera, so if you really take a lot of selfies, this is the only smartphone you need for now. Performance is pretty up to standard for the price, so for casual mobile gamers it surely won't be disappointing. Vivo V5 Plus Review: All Hype or All Right? If you’re looking for a selfie-centric phone with a bit more oomph and the ability to blur the most annoying photobombers in your shot, then yes! The upgrade in the display, its processing package, and the dual front cameras definitely make it a compelling case for V5 Plus. Like we said, our experience with the Vivo V5 Plus merits a thumbs up; making the V5 Plus, that’s priced at Php 19,990 , worth a look for you next purchase. Vivo V5 Plus Selfie Camera Review- The Perfect Duo! 77% Vivo V5 Plus Review- The Perfect Selfie! 78.3%: This rating is not convincing. The laptop is evaluated below average, this is not really a recommendation for purchase.